Ok, I haven't actually tried any of the specific recipes of the book, but I have tried lots of other variations of the same recipes. These are the classics of American sweets, many of them old favorites that I love. And there was plenty of new goodies that I have never eaten, or never had a good recipe to try for myself. The history of all these good things to eat was icing on the cake (pardon the pun), and this could be my new go-to dessert cookbook! 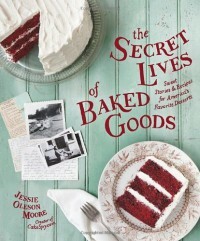 Excellent read, even if I never tried any of the recipes!